Do you want to know How To Relock Bootloader Of RealMe 2 Pro then you are at the right place? 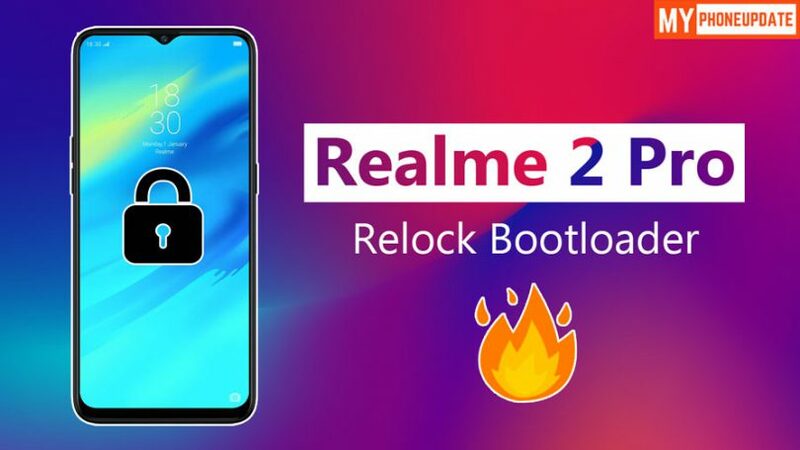 Today in this article I will guide you step-by-step on How To Relock Bootloader Of RealMe 2 Pro. I have shown you the official method to Relock the bootloader of Realme 2 Pro. Recently, Realme has given permission to unlock the bootloader. Now if you want to Relock the Bootloader then you can follow up this guide. This RealMe 2 Pro is having a 6.3 Inch IPS LCD Capacitive Display which is a Full HD+ Screen, RealMe 2 Pro is powered by the Qualcomm Snapdragon 660 Octa Core Processor which is clocked at 2.2 GHz. This phone comes with Android 8.1 (Oreo) out of the box. It has 4GB of RAM and 64GB of Storage. Once you unlock the bootloader you have all the permission to do modifications on your device but the problem that you face after unlocking the bootloader is No OTA Updates, Your Phone Will Be No More Secure. So, to fix these problems by Relocking the Bootloader of your phone. I have shown you the easiest method to Relock Bootloader of your device. Once you Relock the Bootloader your phone will be as it was before. Note: Take Complete Backup Of Your Android Because On You Relock The BootLoader All Your Data Will Be Wiped Out. But before we proceed to Relock Bootloader Of RealMe 2 Pro. Make sure that you have read the pre-requirement section and also make sure to follow each and every steps carefully. Final Words: So, this is all about How To Relock Bootloader Of RealMe 2 Pro. I have shown you the easiest method to Relock Bootloader Of RealMe 2 Pro. I hope this method worked on your phone. If you want to ask any questions related to Relock Bootloader then make sure to comment down below. We would like to hear from you.